Hanoi (VNA) – Eight people were killed or went missing in a blaze in Nam Tu Liem district, Hanoi, in the early hours on April 12, according to initial reports. 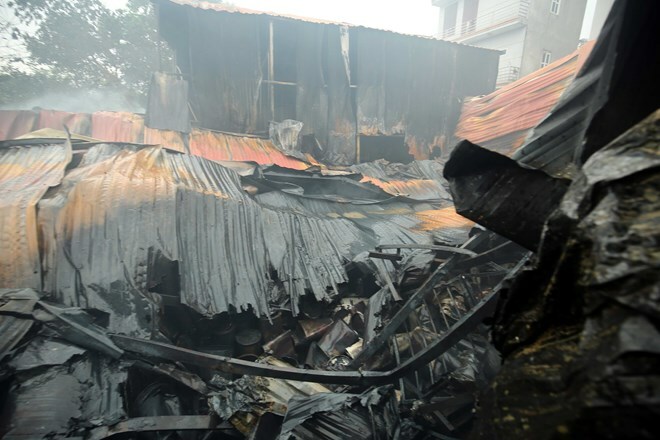 The fire broke out at around 2:30am in a small alley in Trung Van ward, destroying four workshops in a 1,000 sq.m complex. Many firefighters were dispatched to the scene to tackle the fire. However, the complex is located deep in a residential area and contains flammable materials like wood and plastic products that fuelled the fire and quickly destroyed all four workshops. Chairman of the Hanoi People’s Committee Nguyen Duc Chung and Vice Chairman of the municipal People’s Committee Nguyen Van Suu arrived at the scene on the same day to direct the fire fighting and address the blaze’s consequences. Chairman Chung asked capital police to identify the dead victims.